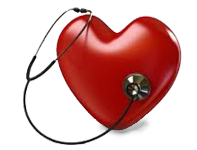 ABULATORY PACEMAKER SERVICES offers quality service professionals serving the Inland Empire utilizing State-of-the-art Equipment, Computerized Summary Reports, Stat-Emergency Services, Billing Assistance, Personal Training, and a vast variety of other services. 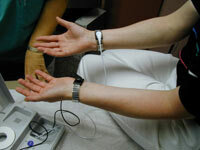 The heart's electrical system generates impulses that are felt as heartbeats. Every cell in the heart muscle is capable of initiating an electrical impulse; therefore, it is normal to have occasional premature beats that can occur under normal conditions. If you have rapid or irregular heartbeats, this can cause a sensation called palpitation. Patients describe palpitations as fullness in the throat or neck or as feeling a more forceful beat. They are usually felt at times when the mind and body are relaxed, so patients often experience palpitations in the evening when reading, watching television, or getting into bed. Feeling palpitations sometimes causes anxiety that can produce increased adrenaline levels, which, in turn, can increase the frequency of the premature beats and make the palpitations worse. Although palpitations can be a benign condition, they should always be evaluated by a cardiologist to rule out any underlying problems. Some arrhythmias may cause syncope (fainting), lightheadedness, or dizziness. This is caused by the heart either beating too slow or too fast, leading to an insufficient flow of blood to the brain. Syncope can be episodic and difficult to diagnose. A tilt table test may be recommended to determine if the cause of fainting spells is due to neurocardiogenic syncope. Arizona Arrhythmia consultants also offer a 24-hour monitor (Holter), a 30-day event monitor and also implantable diagnostic device that provides a method for the diagnosis of syncope or lightheadedness. 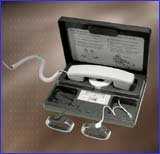 These monitoring devices may provide answers that can lead to effective treatment. Atrial fibrillation is a rapid chaotic rhythm that originates from multiple sites within both atrial chambers. Small circuits simultaneously exist throughout the atrial chambers in a dynamic changing pattern. These circuits give rise to rapid impulses that bombard the connection between the top and bottom chambers of the heart, the AV node. Only some of these impulses can get through this structure which serves as a natural bottleneck against too rapid stimulation of the bottom chambers, the ventricles. Nonetheless, the ventricles will be stimulated in a more rapid fashion than normal and the pattern will be irregular, also differing from the normal. This rapid, irregular pattern gives rise to the symptoms of atrial fibrillation, such as palpitations, rapid heart-beat , chest discomfort, shortness of breath and dizziness. Contributing to the symptoms is the failure of the atria and the ventricles to have coordinated pumping action as they do in the normal situation, which can also lead to a less efficient cardiac pump. In some individuals, failure of the atrial chambers to contract properly can make them more prone to the formation of clot which can travel to distant organs where they may cause damage. Treatment: Antiarrhythmic drugs are sometimes sufficient treatment for atrial fibrillation. Ablation of atrial fibrillation is curative in 70-80% of cases. In certain cases, an implanted pacemaker (in conjunction with ablation of AV node) is used to control the heart rate. Helping people keep up With the pace! Let your Pacemaker Follow-Up be this simple with Ambulatory Pacemaker Clinic, Inc.
© 2013 APC Heartbeat. All rights reserved.